Shares of Oncimmune Holdings PLC with ticker code: LON:ONC has stepped up 3.61% or 4.5 points throughout today’s trading session. Traders have held a positive outlook during the trading session. The high for the period has reached 129 and hitting a low of 129. The amount of shares exchanged has reached 195 with the daily average traded share volume around 9,616. The stock 52 week high is 150 which comes in at 25.5 points in difference to the previous days close of business and a 52 week low sitting at 100 which is a variance of 24.5 points. Oncimmune Holdings PLC now has a 20 SMA at 126.03 and now its 50 day moving average now at 125.91. The current market cap is £68.11m at the time of this report. Share price is traded in GBX. Mcap is measured in GBP. This article was written with the last trade for Oncimmune Holdings PLC being recorded at Tuesday, July 17, 2018 at 8:03:33 AM GMT with the stock price trading at 129 GBX. 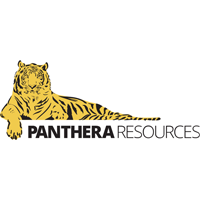 Stock in Panthera Resources PLC with ticker code: LON:PAT has risen 8.26% or 0.64 points in today’s trading session. Traders have stayed positive throughout the trading session. Range high for the period is 8.39 dropping as low as 8.39. The total volume of shares exchanged through this period comes to 5,000 while the daily average number of shares exchanged is 48,505. The 52 week high is 26.5 equating to 18.75 points difference from the previous days close and putting the 52 week low at 8.35 which is a variance of 0.6 points. Panthera Resources PLC has a 20 day moving average of 8.16 and now a 50 day simple moving average now of 10.31. The market capitalisation currently stands at £3.98m at the time of this report. The share price is in GBX. Mcap is measured in GBP. 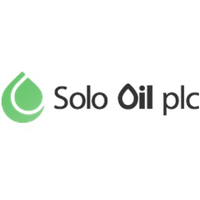 This article was written with the last trade for Panthera Resources PLC being recorded at Tuesday, July 17, 2018 at 8:42:54 AM GMT with the stock price trading at 8.39 GBX. The share price for Persimmon plc ticker code: LON:PSN has risen 1.09% or 27 points in today’s trading session. Investors have stayed positive during the trading session. The period high has peaked at 2508 and a low of 2476. The total volume of shares exchanged through this period comes to 858,962 with the daily average at 1,640,275. A 52 week high for the stock is 2913 equating to 439 points difference from the previous days close and putting the 52 week low at 2341 making a difference of 133 points. Persimmon plc now has a 20 SMA of 2545.17 with a 50 day moving average at 2712.46. The market cap now stands at £7,852.38m at the time of this report. The currency for this stock is GBX. Market cap is measured in GBP. This article was written with the last trade for Persimmon plc being recorded at Tuesday, July 17, 2018 at 4:36:14 PM GMT with the stock price trading at 2501 GBX. Shares in Plant Health Care plc found using EPIC: LON:PHC has increased 7.43% or 1.1 points during today’s session. Market buyers have remained optimistic throughout the trading session. Range high for the period is 16 dipping to 14.37. Volume total for shares traded during this period was 113,005 whilst the daily average number of shares exchanged is just 138,820. A 52 week high for the stock is 31 about 16.2 points in difference to the previous days close of business and a 52 week low sitting at 13.4 which is a difference of 1.4 points. Plant Health Care plc now has a 20 SMA at 21.66 and also a 50 day simple moving average now at 23.76. The market cap now stands at £41.50m at the time of this report. The share price is in GBX. Mcap is measured in GBP. This article was written with the last trade for Plant Health Care plc being recorded at Tuesday, July 17, 2018 at 4:16:26 PM GMT with the stock price trading at 15.9 GBX. Click ONC PAT PHC PSN for the full archive.